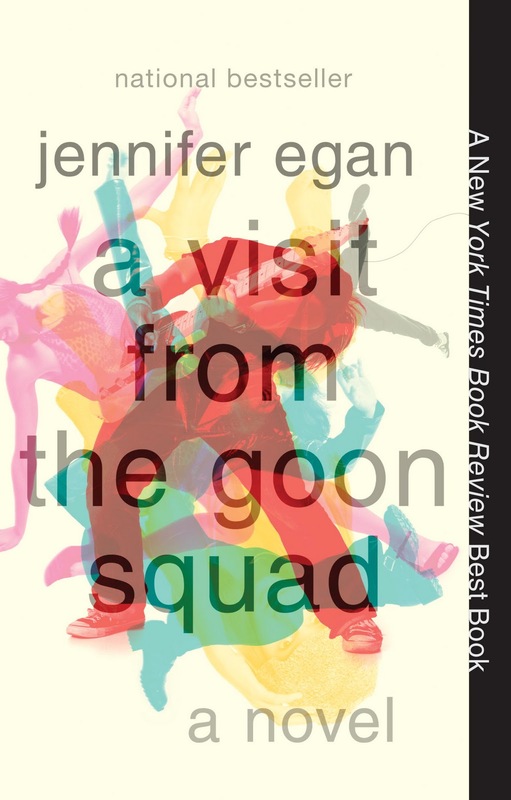 a book chick: "a visit from the goon squad"
my take: I was eager to read this after having read about Jennifer Egan on the NPR books website. Unfortunately, I read it in a year full of such books: what I call multi-POV (point of view) fiction. Not that there's anything wrong with it. I think the first multi-POV fiction I remember is Barbara Kingsolver's The Poisonwood Bible. Not bad company. To me, this multi-POV seemed more like a collection of short stories. I am not a short story fan: I like to get into a plot and set of characters and be swept away in a long, satisfying story. In Good Squad the chapters jump around with different characters out of chronological order and without (to me) the satisfaction of creating any caring about any character. I did get really interested in one chapter - and if anyone's read the book, I'd love to discuss the last chapter. It was enough to redeem the book for me. I think others will be much more enthusiastic about it than I am ... winner of the Pulitzer Prize and the national book critics circle award. I found the writing to be aimed at such awards ... a bit gimmicky for me. If you read this and loved it - let me know! my verdict: good read. probably a great read, I was not in the right frame of mind. other multi-POV fiction: The Imperfectionists was similar, but not quite as dark.